ARCO Marine & Oilfield Serv. Ltd.
Engr. 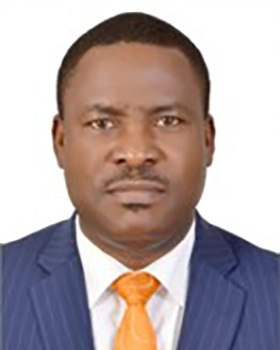 Pius Ajabhu is the Managing Director of ARCO Marine and Oilfield Services Limited. Before now, he was the Managing Director of ARCO Integrity Solutions Limited. He read Mechanical Engineering at Obafemi Awolowo University, Ile Ife (formerly University of Ife), and is a certified Welding Inspector. Mr. Ajabhu also holds a Diploma Certificate in Project Management from Project Management College, UK. Engr. Ajabhu worked for over 13 years with SGS Inspection Services Nigeria Limited in various capacities including Project Site Manager for Nigeria LNG Project (Non-destructive Testing) as well as Operations Manager for Port Harcourt Area. He participated in the SGS Group brainstorming exercise (called SPRING) to evolve the marketing and sales strategy for SGS Group. This program took him through Lagos, Ghana and South Africa. He also pioneered the crawler radiography and Rope Access business. Some of his previous achievements include successful execution of major projects such as the Inspection and non-destructive testing services on the Shell’s Associated Gas Gathering Project, Nigerian LNG Project Phases 1, 2 and 3. Engr. Ajabhu joined the services of ARCO in December, 2003. Within ARCO Group, he is a true example of how an employee can become an entrepreneur; he largely incubated ARCO Integrity Solutions from inception and grew the company to its present level. Engr. Ajabhu has attended numerous professional and management courses in Nigeria and overseas.